I have a large historical Niagara Falls photo collection and every once in a while I like to thumb through the collection. This photograph taken in September 1932 at the brink of the Canadian Horseshoe Falls by Edwin Hodge is one of my favourites. It tells a lot. 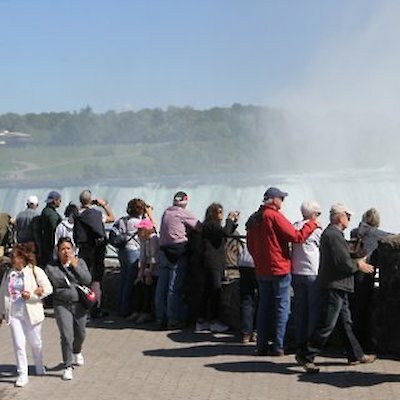 Look how people are dressed in their, “Sunday Best” when they visited the falls. Almost every man is wearing some type of hat and tie and the ladies all wear dresses. No shorts or jeans here. 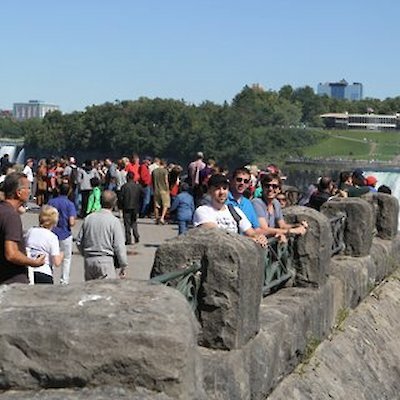 In the distance you can see the American Falls (With a lot more water going over it than today) as well as a more robust Bridal Veil Falls. Fast forward 82 years later and there is a much differently dressed crowd visits thing falls as you can see by the accompanying photographs. 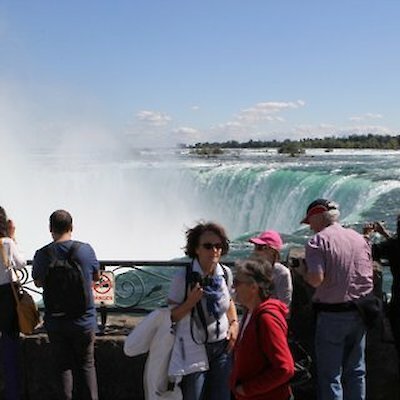 The one thing that remains constant is that the falls is still flowing.